I have over 25 years experience tuning and repairing all major brands of pianos. I work on all models and brands of pianos. 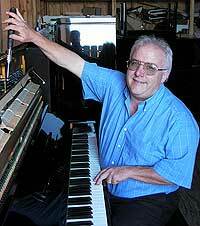 I have worked for the San Diego City Schools since 1995 as the only full time piano technician, and I have been tuning and selling pianos since 1990. My record for customer satisfaction is 100% since I handle all of my customers personally. I am a Registered Piano Technician with the Piano Technician’s Guild. This certification can only be earned by passing rigorous examinations on piano history, construction, tuning, regulation and repair. As a result of my comprehensive training, I am usually able to find the most efficient and cost-effective way to bring out the best performance in your instrument.